Some things never change and these days, it’s even more important for consumers to find ways to save money. With an economy that’s improving, many of us are looking for ways to pick up the pieces and move forward and no annual fees associated with our credit cards is just one decision many of us are making. It’s a fine way to keep your credit card costs down and lucky for all of us, there are no shortage of these offers. The goal is to find the right offers that fit our budgets and meet the other needs we have regarding our credit. Keep reading as we review several of the favorite no annual fee credit cards. For the past 16 years, the Discover More card has ranked at the top of the list for consumer loyalty. It’s a fine card that’s stood the test of time while building a following not seen in other credit card companies. Discover definitely found the winning formula. Card holders enjoy a 0% APR intro rate for fifteen months for both purchases and balance transfers, which makes it a good choice for those looking to reduce their credit card debt in a relatively painless way. We like (and so does everyone else) the rotating cash back bonus savings when you shop online through the Discover network. You can easily save up to 20%. You’ll also find instant access to a U.S. based account manager within sixty seconds of you calling. This is a guarantee that’s twenty four hours a day, seven days a week. When you call, you get fast service. Many people aren’t aware of this, but Discover is also a big winner in fraud liability protection. Finally, additional cards are provided free of charge. This is a sound no annual fee credit card offer that’s a proven winner, year after year. We didn’t forget our business owners, either. We know the challenges both small and medium sized business owners face. It’s all about finding an affordable ways to run their businesses. The absence of an annual fee on their business cards is one of those ways to meet those needs. The SimplyCash American Express business card does exactly that: offers a financial solution without the addition of an annual fee. Not only that, but card members also have the advantage of a 0% intro APR for up to twelve months on purchases. The combination of the no annual fee and intro rate is sure to improve any business owner’s bottom line. That’s not all though, other additional benefits include 5% cash back on office supplies and wireless phone charges, 3% cash back on fuel for your vehicles and 1% cash back on nearly every other purchase made with this AMEX. No time limits to worry about, either. 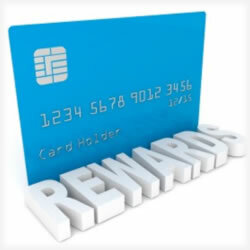 Your cash back is automatically credited to your account each and every month, and the best part is these rewards points and cash back opportunities never expire. If you routinely use participating partners like FedEx or OfficeMax, you’ll enjoy even more savings through the OPEN network. As a small business owner, you’re sure to appreciate the travel accident insurance, purchase protection and online account access. And speaking of American Express, the Blue Cash Everyday is another great example of how well a multi-reward card works. Not only is your annual fee waived, but you’ll also earn $100 cash back in the first three months of card membership provided you spend $1,000 during the first three months. Get 3% cash back at supermarkets and 2% cash back at gas stations and other retailers. Your cash back arrives as reward dollars that you can apply to your monthly balance. One of the most original and attractive features of this AMEX is the referral program. Recommend this card to friends and family and you’ll see 25 rewards dollars applied to your account. No limit on how many referrals you can make, either. Need to transfer a balance from another higher APR card? Do so fee free with this credit card and you can easily manage your account via the American Express website. Fraud protection, purchase protection, return protection and even rental car damage insurance are all part of this offer. The technology means you can use the Express Pay feature to pay for your purchases with never having to swipe your card. All this – and much more – is standard in this offer. The 1 2 3 card from Visa is a streamlined, crisp offer that’s simple to understand. You’ll earn 1 point for every dollar spent, 2 points for every dollar spent at Kroger or any of its sister stores, with the exception of its fuel centers and finally, you’ll earn 3 points for every dollar spent buying Kroger brands. Clearly this is a credit card offer that’s better suited to those who have Kroger supermarkets in their communities. Still, though, and even if you don’t have a Kroger store nearby, there are still many reasons this credit card offer should be on your radar. The no annual fee is just one of those reasons. The zero fraud liability that keeps Visa front and center when it comes to security and the “3 in 1” dynamic that defines this credit card – the rewards card feature, a shopper’s card (the Kroger connection) and the protection of Visa make this a great choice for most of your needs. These are just a few of the many no annual fee credit card offers available. With the holidays quickly approaching – we’re down to just a couple of months – more of us are beginning to take a long look at our budgets and ways to save money while not compromising the quality of our family get-togethers, Christmas tree trimming and turkey dinners before our favorite – and not so favorite – relatives begin to RSVP to an invitation we’re not entirely sure we ever even sent out. Check your terms and conditions before applying, know the changes in the law and consider the entire offer before deciding the 0% APR is the right card.